Our accolades do not drive our work. Our end-customer care and our core values drive our work. Our work then drives our accolades. Co-ordinated by Farmani Group (Budapest) and International Awards Inc. (Los Angeles), the EUROPEAN PRODUCT DESIGN AWARD® - a relatively new but increasingly reputed entrant to the product design award programmes scenario - recognizes the efforts of globally-spread designers and design teams who aim to improve our daily lives by designing to solve a problem, making life easier or simply spreading joy. The Farmani Group, established in 1985 and now an organizer of International Design Awards (IDA), Prix de la Photographie (Paris), London International Creative Awards and the Annual Lucie Awards for Photography, installed the European Product Design Award in 2016. 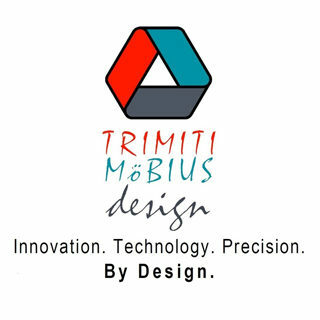 Awarded by The Chicago Athenaeum Museum Of Architecture And Design (Chicago), GOOD DESIGN® AWARD is the oldest and one of the most reputed global award programs for Design Excellence and Design Innovation. 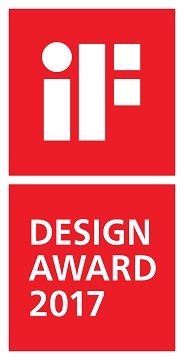 Since 1950, the Museum has awarded the GOOD DESIGN® AWARD for design and innovation, sustainability, creativity, branding, ecologically responsible design, human factors, materials, technology, graphic arts, packaging and universal design by various industrial design and graphic design firms working for the world’s major manufacturers and Fortune 500 companies in over 50 countries. Organised by the Rat Für Formgebung (also known as German Design Council, Frankfurt), the GERMAN DESIGN AWARD® - a prestigious award program for product and graphic designers - identifies and presents unique design trends. The award advances the global design industry. The German Design Council, the peak body for design and brand promotion in Germany, bestows the GERMAN DESIGN AWARD®. Commissioned by this highest German authority for design, the award identifies and represents new developments within the design industry and was established in 1953 on the initiative of the German Bundestag (the lower house of German parliament). Awarded by the International Forum Design GmbH (Hanover), the iF DESIGN AWARD® is among the most prestigious and largest design competitions in the world. Since 1953, designers, manufacturers and users have looked to the iF Design Award as a sign of good design. Each year, iF International Forum Design GmbH organizes one of the world's most celebrated and valued design competitions: the iF DESIGN AWARD®. Recognized as a symbol of design excellence around the world, the iF DESIGN AWARD® welcomes over 5,000 submissions from 70 countries every year. An iF DESIGN AWARD is a seal of design excellence and a testimony of product quality. For users, it is a symbol of trust. The iF Design Award 2017, the German Design Award 2018 (Nomination), the Good Design Award 2018 and the European Product Design Award 2018 have been bestowed upon our XS Family Of Toys (Patents Pending) products-range made up of 1X/2X 3D Construction Toy-bricks and 3X/4X 3D Jigsaw Puzzles. The logos shown above for these awards/nominations are registered trademarks owned by the respective organisations bestowing the said awards/nominations. Wikipedia lists here (under ‘History’, first para) our Good Design Award (USA) and iF Design Award (Germany) amongst the three most important international product design awards. The third award from this list - the Red Dot Design Award (Germany) - can be applied for only after our toys are available in the retail market. We will enjoy discussing our international-design-awards-winning projects with you.